Chick Advisor - St Ives Shower Foam Sample Opporunity! 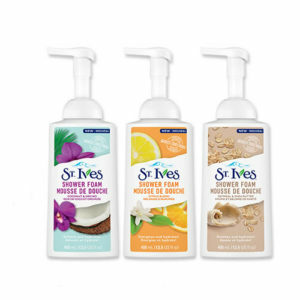 Home » Health & Beauty » Chick Advisor – St Ives Shower Foam Sample Opporunity! Chick Advisor – St Ives Shower Foam Sample Opporunity! These shower foams are made from 100% naturally sourced extracts. Apply before April 7th, 2019 for your chance to be selected. Don’t forget to share this opportunity on social media and remember to include #StIvesShowerFoam.